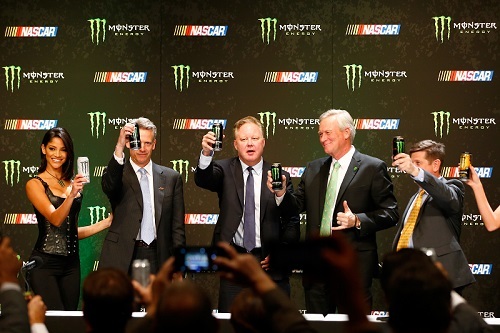 When the partnership between NASCAR and Monster Energy was announced on Dec. 1, making Monster the title sponsor of NASCAR’s premier series, beginning in 2017, the length and the cost of the deal were not revealed. Along those lines, the only revelation was that the deal was multi-year. Reports, though, including one by SportsBusiness Journal, surfaced in the days that followed. A SportsBusiness Journal claimed that the deal is for $20 million/year and for a length of two years with an option for a two-year extension after that. NASCAR Chairman and CEO Brian France is disputing those claims. While France refuted the numbers in the article, he wouldn’t reveal the actual dollar amount or length of contract.